DYNU, broadcasting as 107.5 Win Radio Cebu, is the music FM station of Progressive Broadcasting Corporation in the Philippines. The station's studio & transmitter is located at Ludo and Luym Bldg., Plaridel St., Lahug, Cebu City. 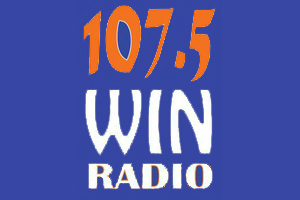 It was formerly known as NU 107 Cebu from 1992 - 2011, when it was reformatted as 107.5 Win Radio Cebu. Since then, NU 107 Cebu began broadcasting online.